No longer an impoverished, rural backwater, this is a popular holiday destination where second homes become main residences. It is remarkable for the many ways people make West Cork work for them: traditional farmers negotiating EU quotas; newcomers setting up restaurants; artists, writers and dot.com millionaires starting ventures to allow them to live where they want. Others work to enhance this unique landscape: from environmental activists on Cool Mountain to the hard-working Shelswell-Whites of Bantry House, wealthy castle restorers like Jeremy Irons and innovative farmers on Beara. 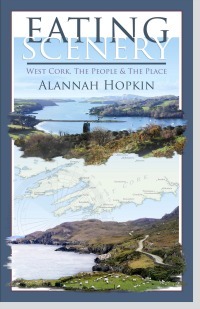 In this first full-length book about all aspects of West Cork, the locals and blow-ins, Alannah Hopkin discovers the soul of West Cork among a vibrant community of diverse people with compelling stories to tell.